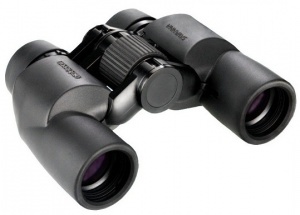 The Opticron Savanna WP 6x30 are a handy, lightweight, thoroughly modern porro prism binocular uniquely suited to adults and children. With popular features such as waterproofing, long eyerelief and ergonomic rubber armour, the optical set-up delivers brighter, sharper more three dimensional images compared to similarly priced roof prism binoculars. In addition wide field eyepieces and a large depth of field make for easy focusing and tracking of wildlife. With a minimum IPD of 50mm, the Savanna WP can be enjoyed by children as young as 7 years without fear of eyestrain. Weighing under 500g and standing just 115mm high, the binocular fits easily into a backpack or sling bag or can be stored in its lightweight neoprene case. The Opticron Savanna WP 6x30 binoculars are engineered to deliver excellent quality and value for money for the younger wildlife or birdwatcher and come with a comprehensive 10 year warranty against manufacturing defects. Models supplied with soft neoprene case, rainguard and wide strap.